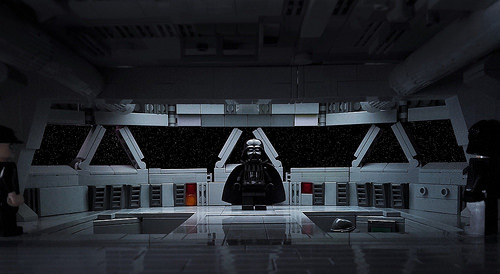 Hachiroku24 has built a cracking recreation of an iconic Star Wars scene – the bridge of the Super Star Destroyer Executor. The details are spot-on, with Imperial officers just visible in the sunken-floor control areas, but it’s the lighting setup for the photo which really sets this model apart. Also, the reflections (normally the bane of a LEGO builder’s life when it comes to taking photos) are used to excellent effect. Great stuff.